Proteins are the major organic component s of waste activated sludge (WAS); the recovery of sludge proteins is economically valuable. To efficiently recover sludge proteins, WAS should undergo hydrolysis pretreatment to fully release proteins from sludge flocs and microbial cells into aqueous phase. One of the most widely used chemical methods for that is thermal alkali hydrolysis (TAH). 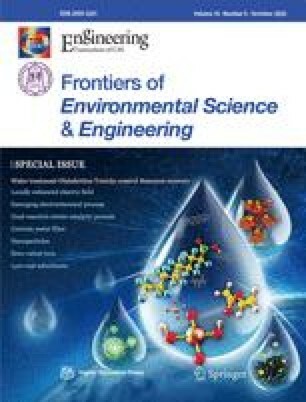 Here, the soluble protein concentration achieved the highest level over 90 min of TAH pretreatment at 80°C; the sludge floc disintegration and microbial cell destruction were maximized according to the content profiles of bound extracellular polymeric substance (EPS) and ribonucleic acid (RNA) of sludge. Both less proteins broken down to materials with small molecular weight and less melanoidin generated were responsible. TAH pretreatment at 80°C for 90 min resulted in the solubilization of 67.59% of sludge proteins. 34.64% of solubilized proteins was present in soluble high molecular; 1.55% and 4.85% broke down to polypeptides and amino acids. The lost proteins via being converted to ammonium and nitrate nitrogen accounted for 9.44% of solubilized proteins. It was important to understand the fate of sludge proteins during TAH pretreatment in terms of protein recovery, which would be helpful for designing the downstream protein separation method and its potential application. This research was supported by a grant from the Major Science and Technology Program for Water Pollution Control and Treatment of China (No. 2015ZX07306001-5) and the National Key Research and Development Program (No. 2016YFC0400707).